Get the wanderlust bug with these unique travel destinations hidden away in the corners of Europe. We have compiled a list of 5 unique travel destinations in Europe to help ignite your wanderlust, and plant these seeds for you to get planning your own holiday of a lifetime. We all dream of finding that perfect holiday, some want weeks by a pool, others want adventures and exploration. With so many obvious places you can choose to go abroad, what about those places that are not so obvious, some of which you’ve never even heard of? Sometimes choosing a place that is not in the mainstream can turn out being the better choice, the experience heightened, and the enjoyment enhanced. The one obvious drawback to choosing to holiday in an unknown, less-popular destination is how to pick the right one? Always do your research! Make a list of places you would like to travel to and research them thoroughly. With so many online resources available now, finding out all you need to know about your choices has never been easier. So, what destinations will make our top 5? Made up of five breathtakingly beautiful fishing villages, this rugged coastline is a part of the Italian Riviera. 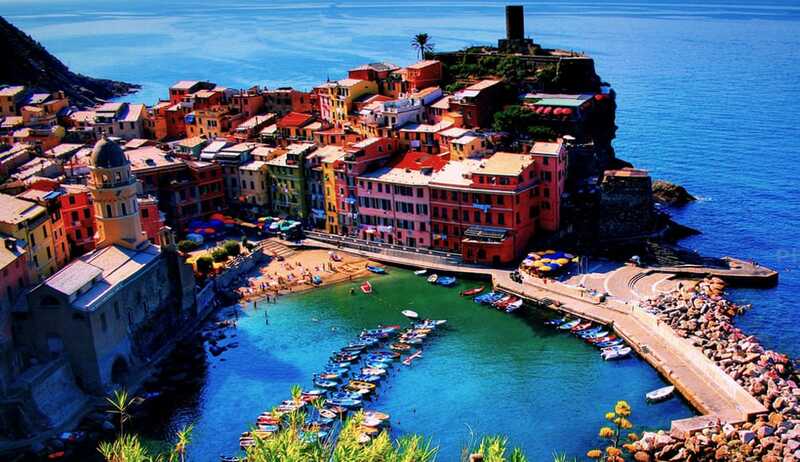 The Cinque Terre is made up of Monterosso al Mare, Vernazza, Corniglia, Manarola and Riomaggiore. With so many different coastal villages to choose from all in one area, you will be spoiled for choice on what to do next! The steep cliffs present you with some astonishing coastal views, from the stunning villages to the heart of the sea. The local delicacies are a must for any seafood fan, with a seemingly never-ending supply of fresh produce on the menu. There are many activities available, whether you want a day on the beach in Monterosso or a hiking adventure in Corniglia, there is something for everybody. 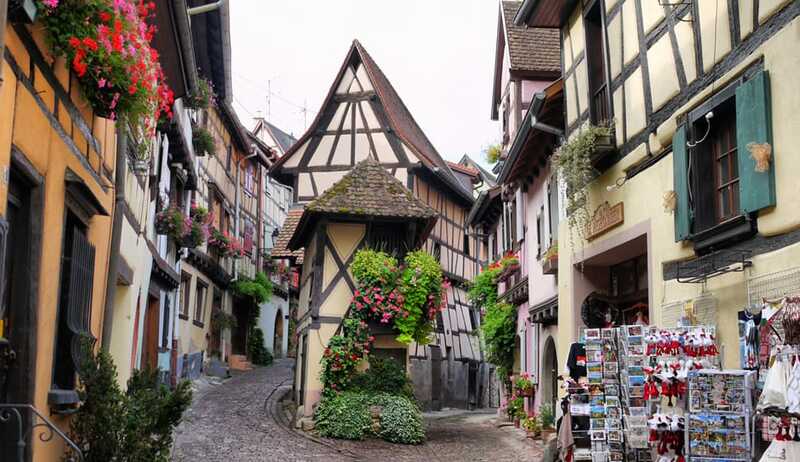 Considered one of the most beautiful villages in France, if you want a trip with a relaxed pace then look no further than Eguisheim. Be sure to take in the sights of the Old City and step into a fairy-tale, from the tiny streets to the stunning buildings. The sights and sounds of this breath-taking village will captivate your imagination and transport you into a time long forgot. If wine tasting is your thing then the Alsace vineyards are a must, tour the vineyards and sample the local flavours. Despite the relaxed atmosphere there are plenty of activities to enhance your trip. With a range of museum and heritage sights, walking and cycling routes on offer you’ll fill your time with ease during your stay. 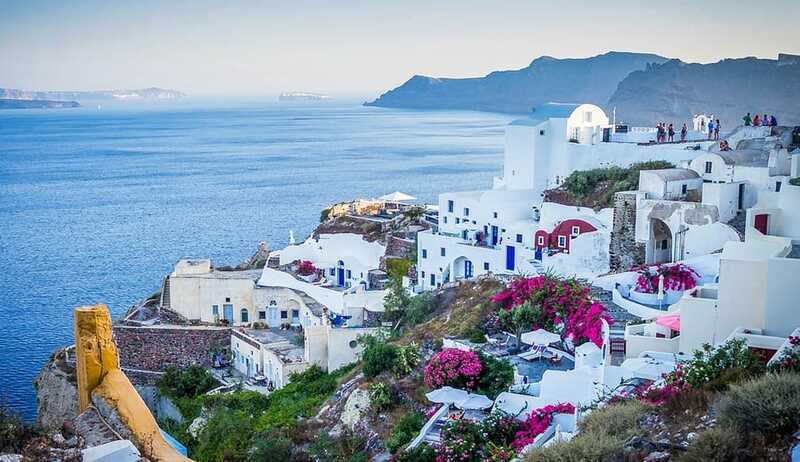 A volcano destroyed the original settlements on the island, and what has been left has turned into one of Europe’s most stunning island locations. The main town of Santorini is Fira, is home to a large wine industry so there are plenty of places to wet your appetite on your trip. The ancient city ruins in Akrotiri dates back to 17th Century BC and allows you a glimpse of the long forgotten past, a real must see for those who are keen on history. There are many activities to enhance your stay. Take a trip on a catamaran and see the sunset on the sea, or if you want to keep you land legs, then visit the hiking routes and look across all of the beauty of Santorini. It’s safe to say the real beauty of Santorini comes to life at dusk, watch the city transform before your very eyes. This walled seaside town is a lot closer to home, in fact, there’s nothing stopping you from getting in the car and head there right now! 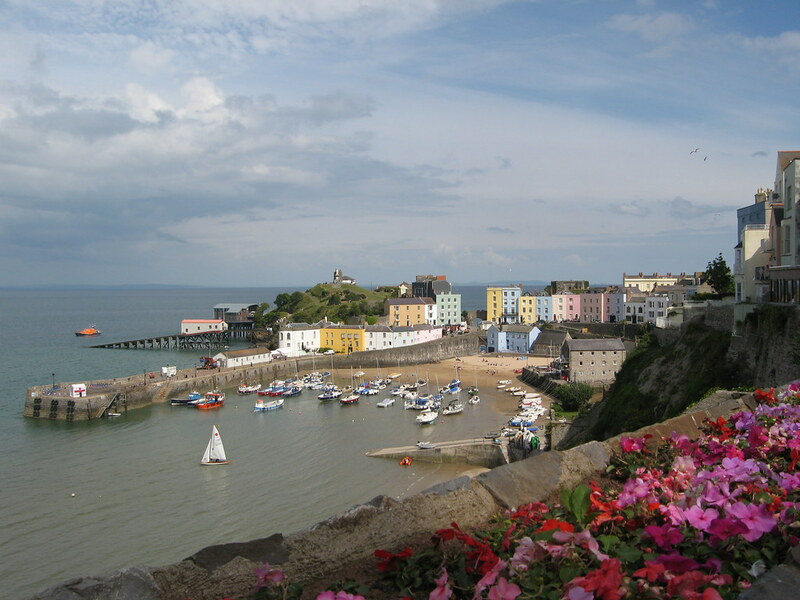 With almost 3 miles of lush sandy beaches and with its medieval town walls, Tenby is truly a wonder of the United Kingdom. The picturesque scenery is packed full of shops, cafes, restaurants and bars that are all accessible through beautiful cobbled streets. Fancy a boat trip? Head to the harbour and take a trip to the nearby island of Caldey. 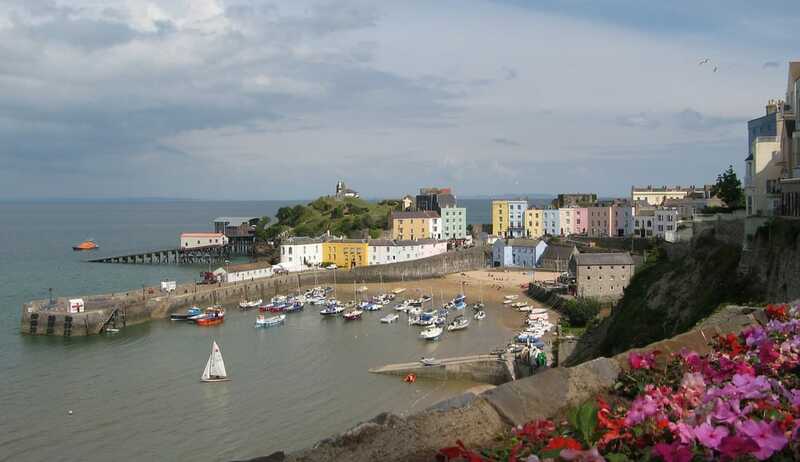 Tenby is the truly one of the best destinations for a weekend break, a perfect place for young and old alike. A town next to a beautiful lake, surrounded by mountains in the heart of the countryside? 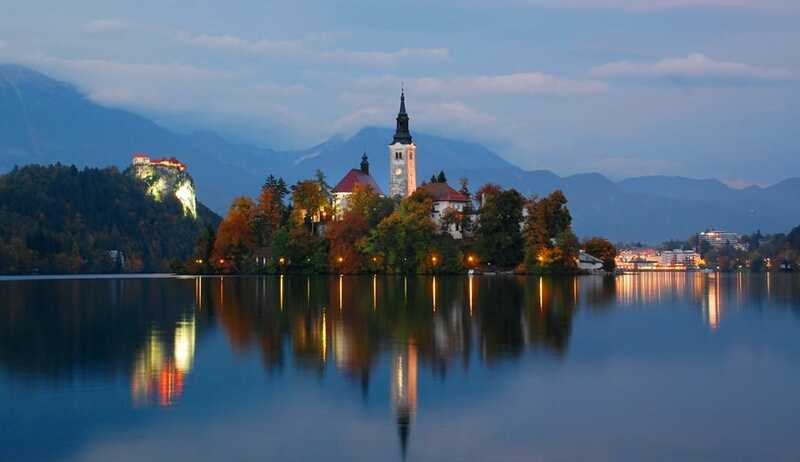 Welcome to Bled, number 5 on our list. The famous glacial Lake Bled is a must visit, and be sure to take a trip across the lake and take in the stunning views of the mountains, Bled Island and the overlooking medieval Bled Castle. If you have a sweet tooth, then make sure to try to range of local delicacies of vanilla and cream pastries. It is very easy to lose yourself in the stunning architecture and landscapes, enhanced even more when hiking up the many treks to take in the stunning views on offer. Bled is truly one of the most unique and picturesque places you could wish to visit, with so much to see it’s adding an extra day onto your stay.